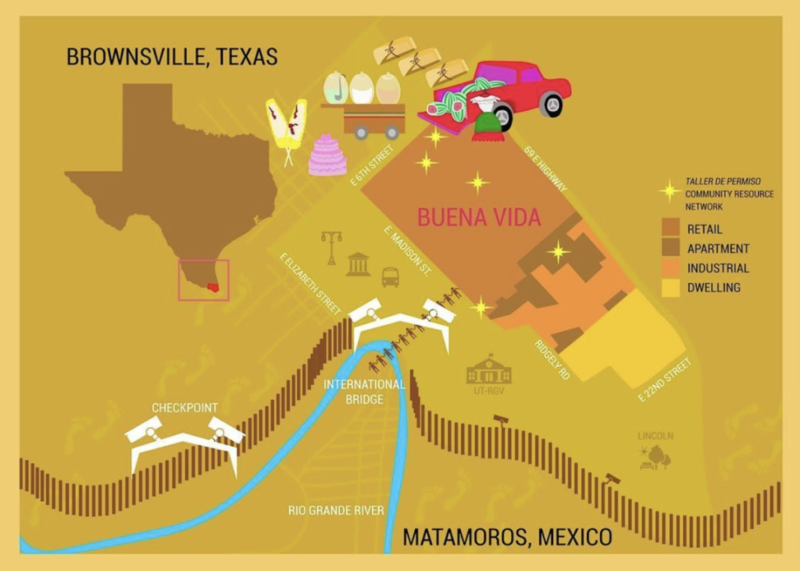 Art collective Las Imaginistas, comprised of Christina Patiño Houle, Nansi Guevara, and Celesta de Luna, are creating Hacemos La Ciudad, a civic reimagining and creative planning project in the city of Brownsville, Texas at the US-Mexico border. Noticing that Brownsville’s architecture and infrastructure have been influenced by its militaristic and colonial history as a border town, Las Imaginistas wanted to create opportunities for Brownsville residents to come together to imagine and generate a community-sourced, creative, and decolonized plan for the future of their city: un Plan de Arte Cívica del Pueblo Entero (a Civic Art Plan of the People). Through a yearlong series of workshops, lectures, art exhibitions, and performances, the project has brought together professors and researchers, city officials, artists, nonprofit leaders, community organizers, and activists, among others. 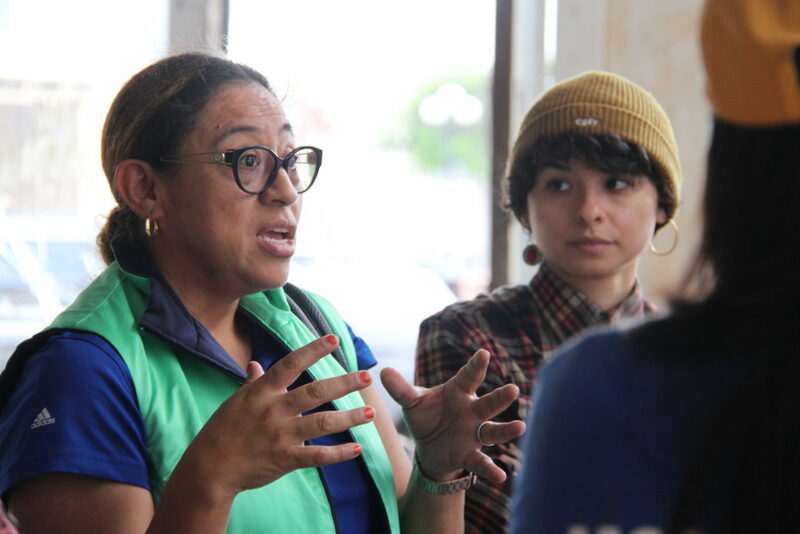 A Blade of Grass Communications Associate Emma Colón spoke with Hilda Ledezma, Community Services Director at the Housing Authority for the City of Brownsville, who has contributed to public conversations as part of Hacemos La Ciudad. Hilda found that collaborating with artists on creative approaches to civic planning has been effective in Brownsville—an example that may prove inspirational to folks doing this work in other cities. 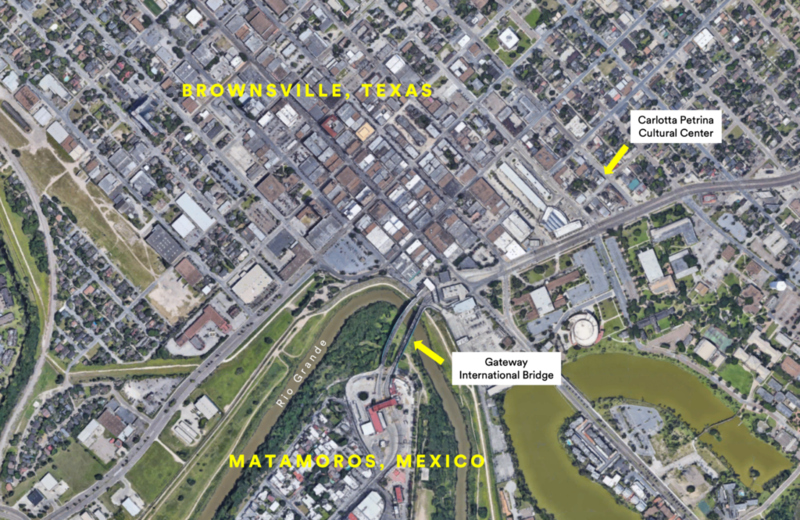 Read on to see behind the scenes of the future of Brownsville. Emma Colón (EC): What’s your work in the Brownsville community, Hilda? Hilda Ledezma (HL): I have a community space in the downtown Brownsville area called Carlotta Petrina Cultural Center. In the space is my nonprofit, ROCA—Revival of Cultural Arts. I inherited this historical building from my godmother whose vision was that the building would be for the community, so we decided to have the nonprofit create opportunities for the community to experience art, music, and culture. We started an enrichment program for children to learn music, as well as De Colores, a free community program for kids who live around the neighborhood. We have a children’s orchestra, various art programs, we do Día de los Muertos and lots of other cultural events all based on the community. The community helps organize, finance, and make the events happen. I also work for the Housing Authority of the City of Brownsville as the Community Services Coordinator. The Housing Authority received the Choice Neighborhood Grant [from the federal Department of Housing and Urban Development] in 2016, so that opened up a lot of possibilities to continue to work on the Buena Vida neighborhood, which is where the cultural center is. EC: How have you been involved in Hacemos La Ciudad so far? HL: I was approached by Las Imaginistas to participate in a conversation and am always open to collaboration. They’ve been very generous in including [the cultural center] in a lot of events that they’re doing, and asking for feedback and guidance. They tapped into my experience with community engagement and the fact that I know the language and the people in Buena Vida neighborhood through my work at the Housing Authority. I’ve been to all their events and was part of a public conversation Las Imaginistas held where they brought together different stakeholders and partners to talk about how we see our city and how we’ll embrace growth in Brownsville, and to identify the potential and opportunities here. Some participants in the conversation were talking about infrastructure, others were talking about housing in Brownsville, others were talking about education and culture. So I sat in on the cultural and educational angle. Brownsville is considered a distressed community, but we are rich in our traditions and culture. EC: Were there any takeaways from that conversation that you’d like to share? HL: It was brought to the conversation that being a border town, walking distance from Mexico, we see a stark difference between the education systems in the two countries. So we were asking: how can we leverage and learn from some of the good things that are happening in the Mexican education system, which deals a lot with civic engagement and ethics? How can we bring a holistic approach to education here? EC: You mentioned Buena Vida was awarded a Choice Neighborhood grant. What did that award mean for the neighborhood? HL: The Choice Neighborhood award recognizes distressed communities. In our case, they gave us [the Brownsville Housing Authority] half a million dollars as a planning grant. We took it as an opportunity to think about how to address all the issues that the community and neighborhood were dealing with, from infrastructure to education, etc. It was a very comprehensive planning opportunity for the area. With the grant came the opportunity for organizations and agencies and people to partner together who are passionate about making an impact in Brownsville. 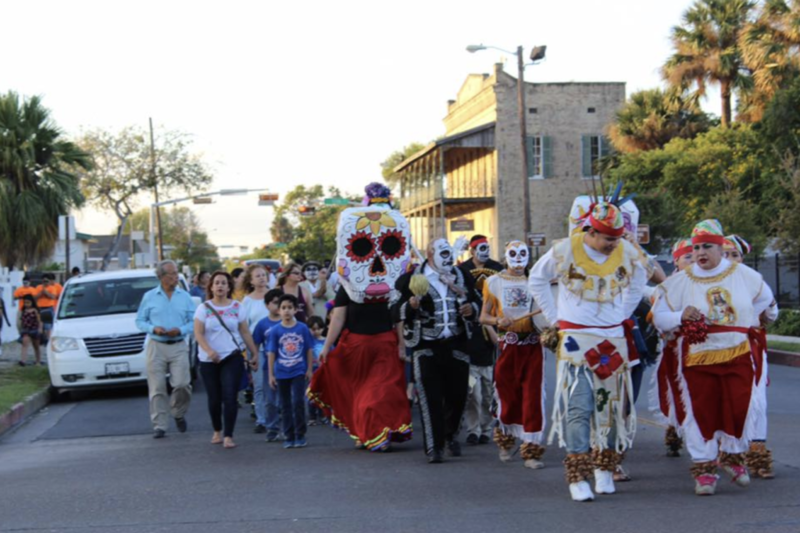 Brownsville is considered a distressed community, but we are rich in our traditions and culture. We take care of each other and embrace our heritage. 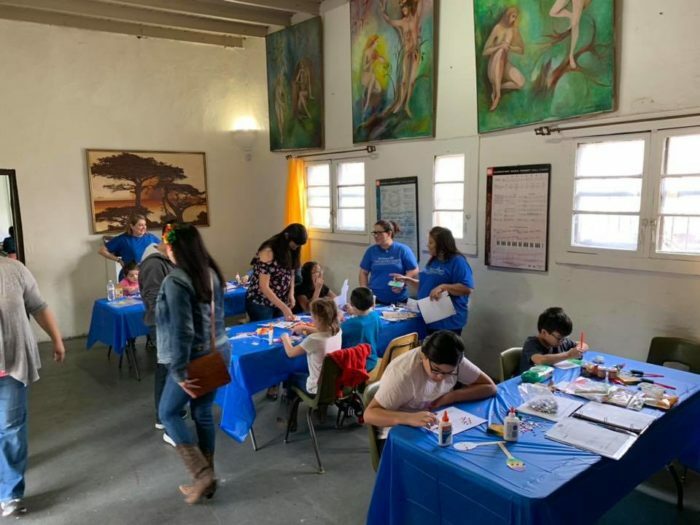 The experience [with the grant funding] has been very positive, and people and organizations in Brownsville have been able to embrace the beauty of being a border town. A lot of that is the music, the culture, the people, and the language. We are one. EC: What do you think about what Brownsville needs? What does the city need to become what you want it to be? HL: I feel that the government and administration of the city is going in the right direction. There are capable people taking leadership right now and really being strategic in planning things like downtown revitalization. A project that will be completed soon is the Brownsville Performing Arts Academy in the historical downtown area. Close to six million dollars have been invested in this building, which will open in April. I feel that the city is taking a turn to the future by providing economic development to artists and creative people—it’s investing in community by committing to growth for art fields and making sure opportunities are opening up for artists. We have a lot of talent in this city! EC: Do you think that projects like Hacemos La Ciudad have a role in helping to push Brownsville in this direction? How do you see Hacemos La Ciudad connecting to the Choice neighborhood planning process? HL: Hacemos La Ciudad has created platforms for expression and dialogue based on the concerns identified by Buena Vida community members in the Choice neighborhood meetings. Las Imaginistas have been active members of the steering committee, and we [the Housing Authority] have a great partnership; we leverage each other’s resources. Hacemos La Ciudad is bringing the conversation. Sometimes that’s the greatest start: someone has to bring in conversation and accountability to get people to see that something needs to be done and that no one can do it alone. I hope that the project will continue to create the platforms needed to address the issues in our communities, bringing different representatives to join the conversations who can then act to make a difference and improve the city. EC: Are there ways that you feel like the border and history of the city of Brownsville influence your life there? Or influence the energy of the city? HL: My connection is to the downtown area of Brownsville, where I see the international bridge every day. It’s walking distance from our community center. You see in the national news that we’re in a state of emergency and need to build a wall. But everyday life here is beautiful. The border influences the city, but so does everything else. If someone’s never been here, they might think there’s a national emergency and that we’re in danger, but you can have a comfortable life in Brownsville. There’s very much a flow and fluidity of cultures across the border. Hacemos La Ciudad is bringing the conversation. Sometimes that’s the greatest start: someone has to bring in conversation and accountability to get people to see that something needs to be done and that no one can do it alone. EC: Anything else you want to share about your involvement with Hacemos La Ciudad or highlights from your collaboration with Las Imaginistas? HL: [Christina, Nansi, and Celeste] are very intelligent! They’re right to the point, they’re very brave because they take conversations that not everyone is comfortable taking to the city. They’ve done great research that I think has made an impact. They are getting the conversation out there and opening things up for some of our stakeholders who may have their thoughts and heart in the right places, but whose voices may not be heard. I feel very fortunate to be involved with them and be part of bringing these conversations to life, and to use my connection to the community to bring in the voices of people who may not have the language to express themselves. Hilda Ledezma is the Community Services Director at the Housing Authority for the City of Brownsville. She is a graduate of the University of Texas at Brownsville with a degree in Sociology. She has been an Associate of the Sisters of Divine Providence at Our Lady of the Lake University for more than twenty years. In 2010, she opened the Carlotta K. Petrina Cultural Center with the vision to inspire minds and enhance creativity through the celebration of culture. In 2011, she established Revival of Cultural Arts, a nonprofit whose mission is to create a bridge that will remove the gap between local families, and the opportunity to experience art, music, culture and create a space that will engage the community in social justice efforts.